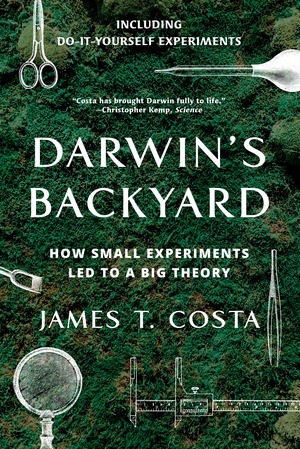 James T. Costa takes readers on a journey from Darwin’s childhood through his voyage on the HMS Beagle, where his ideas on evolution began, and on to Down House, his bustling home of forty years. 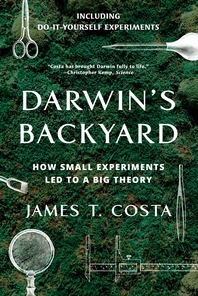 Using his garden and greenhouse, the surrounding meadows and woodlands, and even the cellar and hallways of his home-turned-field-station, Darwin tested ideas of his landmark theory of evolution through an astonishing array of experiments without using specialized equipment. From those results, he plumbed the laws of nature and drew evidence for the revolutionary arguments of On the Origin of Species and other watershed works. This unique perspective introduces us to an enthusiastic correspondent, collaborator, and, especially, an incorrigible observer and experimenter. And it includes eighteen experiments for home, school, or garden. Finalist for the 2018 AAAS/Subaru SB&F Prizes for Excellence in Science Books.